Syrin Remover is the MOST EFFECTIVE product in the market for removing Syringomas from your own home. How is the SyrinRemover applied? It is applied using a small make-up brush or cotton ear-bud directly on the Syringomas, taking particular care not to have the SyrinRemover to avoid contact with the eyes. How long does it take for the scabs to fall off? In case of laser treatment or cauterization it usually takes in the region of one week for the scabs to fall off. When using certain types of TCA it may take in the region of one to two weeks for the scabs to fall off. How many times should I apply ? On average it takes in the region of 3 sessions before the Syringomas are gone. In case of particularly thick Syringomas, it can take more sessions but usually, 3 sessions are more than enough to achieve satisfactory results. 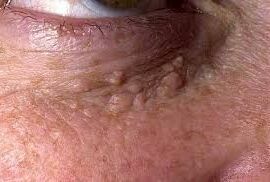 Syringoma are harmless sweat duct benign growth, typically found clustered on eyelids, although they may also be found in the armpits, umbilicus (belly button), and other parts of the body. Syringomas can be caused by any activity that increases sweat gland productivity, which may lead to tumor growth. Syringomas aren’t harmful in any way, so there’s no medical need to treat them. However, some people choose to have syringomas treated or removed for cosmetic reasons. SyringRemover is developed to specifically treat and remove your Syringoma. Effective, long-lasting removal results for every client, Syring Remove is formulated to remove your Syringoma, fast and easy. 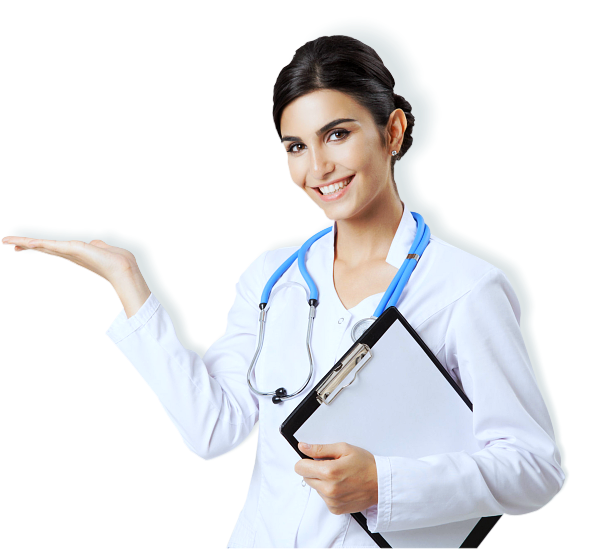 The primary mission of this website is to provide you with all the information you require about Syringoma, so that you can make the best informed decision when you choose the way you want to remove your Syringoma. It does not matter whether you use any of our products and services or not. 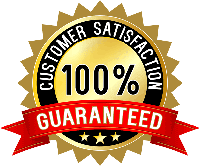 Most importantly, we made this website in order for you to acquire the information you are after from this website. If you cannot find the information you are looking for on this website, just email us and we will happily add the information which is important to you and many other people around the world. Or if you have information which you think is valuable to other people you can even add it by emailing it to us. 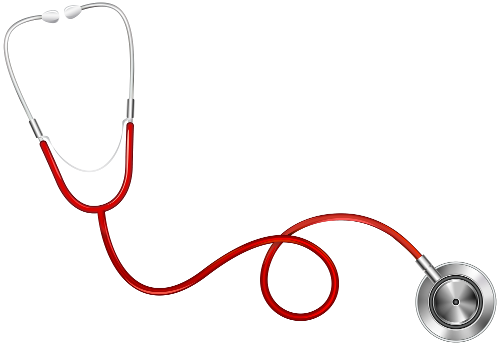 This website has thousands of monthly visitors from the world over, so you will contribute to help thousands of people with Syringoma like you. 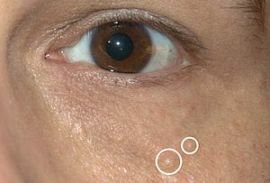 A syringoma is a skin coloured or yellowish firm rounded bump. It is well-defined and sized one to three millimetres in diameter. Syringomas usually first appear at puberty, but additional lesions can develop later. They do not itch or cause pain. 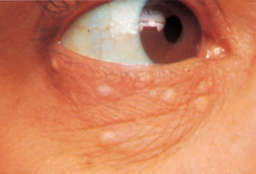 The condition usually appears as a crop of multiple lesions typically around the eyelid. They can also appear on the forehead, upper cheeks, armpits, chest, lower abdomen or genitalia. The clusters normally distribute on both sides of the body in a symmetrical fashion. Abrupt occurrence of syringoma in a group on the chest and abdomen is called eruptive syringoma. 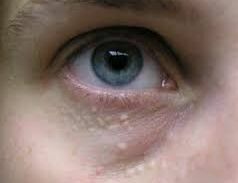 Clinically, it may be mistaken for acne vulgaris, sebaceous hyperplasia, milia, lichen planus and granuloma annulare on the trunk. People between the ages of 25 and 40, especially Caucasian women and those of Japanese heritage, are at the greatest risk of developing the condition. Everything you need to know about Syringoma Treatments. This treatment is preferred by many doctors, because of all the procedures possible, this one has the lowest risk of scarring. Your doctor will use carbon dioxide or erbium to laser the syringoma. This involves using abrasive substances to rub off the upper layer of your skin, including the tumors. In this treatment, an electrical charge is passed through an instrument similar to a needle to remove the tumors by burning them. Certain chemicals, most commonly trichloroacetic acid, can be applied directly to the syringoma, usually causing it to dry up and fall off. When done by a trained nurse or doctor chemical peels often do not cause scarring. The only way to effectively treat the growths involves surgery, so they are usually only medically treated when they cause bothersome symptoms. This is most commonly referred to as freezing the tumors. Liquid nitrogen is the most often used chemical for this procedure. Imagine waking up in the morning and realizing that the concealer to hide your Syringomas is not needed any longer because you have another useful jar instead …Today there is No need for Lasers, no need for anesthetics, no need for expensive treatments because today the SyrinRemover can remove your syringomas. The syrinRemover removes your syringomas from the comfort of your home, without anesthetic, in complete safety and comfort. The SyrinRemover, the home solution to remove your Syringomas you were long looking for….Guaranteed!